Are you looking for a list of the best Microsoft Office integrations for Microsoft Word, Microsoft Excel, and Microsoft PowerPoint that will ensure that you leave whatever task you are completing feeling super productive? If you are aiming to supercharge your productivity on a platform you already know and love, you’ve come to the right place. Many Microsoft Office users do not take advantage of the fact that Office 365 has the potential to do so much more than create documents, spreadsheets, and presentations. It has an extensive list of Office 365 integrations that you can use from within Microsoft Office. Priority Matrix uses 4-quadrants to help you focus on top priorities and projects that matter the most. The Priority Matrix Outlook add-in helps turn emails into action items so that you can prioritize, set due dates, delegate, and make meaningful notes. 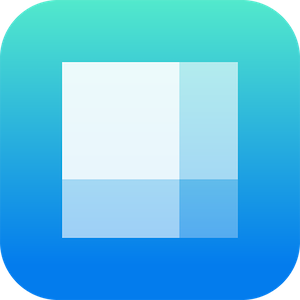 With Priority Matrix, you can convert an Outlook email into a task either from the Outlook web app or the Outlook iOS app. This helps users not only manage their emails, but create tasks out of those emails in Priority Matrix so they are not forgotten. Priority Matrix not only makes email management easy, but it helps you prioritize critical and urgent tasks as well. This ultimately improves productivity. When planning a meeting, finding the perfect time in everybody’s schedule for the meeting can be quite the dilemma. FindTime is an Outlook add in which facilitates this process. 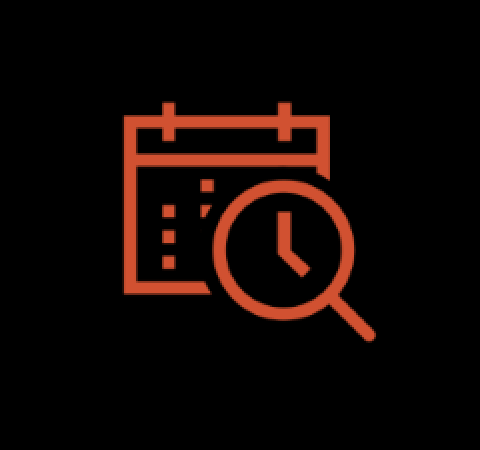 FindTime will show you the best days and times for everybody who is going to be participating in a meeting.This way you can focus your time preparing for the meeting instead of trying to find an hour that works for everyone. This add-in is convenient — everyone has the opportunity to vote on a time, then FindTime automatically sends out an invite for the time everybody can make it. Ever go on an email deletion sprint where you keep deleting emails until you somehow delete the one email you need? Oops. Been there, done that. With Email Recovery, no need to stress about finding that email. Email Recovery will assist you in restoring your previously deleted emails, so you can take a deep breath. Template Phrases allows you to create custom templates so you can answer common emails and questions in a snap. That’s right, no more time wasted retyping the same words over and over again. Its instant search function is also great. It allows you to scour through a list of phrases based on the topic you are writing about with their algorithm. For example, if you need to confirm a meeting, its will generate a variety of keywords you can use in your email template regarding confirming meetings to help you create a professional email almost instantly. When you’re on vacation or away from the office, you may not want to be reminded of all the emails bombarding your inbox. We use Boomerang to silence the noise in our email, using its inbox pause feature, which prevents new emails from landing in our inbox until we are back to work. How often do you receive an email with a person who you do not know well (or at all) cc’d in it? When this happens to me, this leads to opening a separate tab and searching LinkedIn so I can find more information about this mystery individual before responding. The ZoomInfo connector will display information about the person in the “to” or “cc” line from the ZoomInfo database, including their career, location, and more. As a person who creates a variety of content, finding free, legal pictures can often be a struggle. Before I started using Pickit Images, I would search for images on royalty-free image websites, then I would have to save them to my computer, and upload them. Too much of a hassle, right? Pickit Images will streamline this process a ton. Pickit Images is completely free, but note that they have a Pro version for $1.99/month with more features. Oh, and this add in works for Microsoft Word and Microsoft PowerPoint, so now your presentations will also have the most cutting-edge images. Signing documents is a common occurrence. And the process can become a pain very quickly. I remember a couple of years ago, I was sent a thirty page contract that I had to sign and initial via email. I ended up printing out thirty pages, going through the paperwork, and then scanning thirty pages into my computer to send. DocuSign is a Microsoft integration which simplifies this process. With DocuSign, you can simply sign the document or request signatures from others. From there, you can email the document to others with the click of a button. Once you download it, Docusign will provide you with some free signatures. After you use them, you can purchase a subscription plan starting at $10/month. Translator will translate words or sentences from Word documents into a different language. For example, if you are looking at a proposal and it is not in your first language, you can quickly translate it into the language you’re best at reading — all from Microsoft Word. OfficeMaps is an add-in that allows you to add detailed maps to documents simply by searching for a location. For example, if I am creating a flyer to get people to come to my office, I will type in my office, and it will generate a map and upload it to the document. Its simplicity is great. Just plug in the address of the location you need and insert it into your document. When crafting documents, it can be difficult to catch written errors from reading it in your head, or even reading it aloud to yourself. Sometimes, it is best to have somebody else read the document clearly so that you can catch any errors, especially for important documents. With Read My Document, you can select a speaking rate (slow or fast) and a voice to read back text that you select in your document. This way, you can hear what you have written down from somebody else, and then make any corrections you haven’t caught. 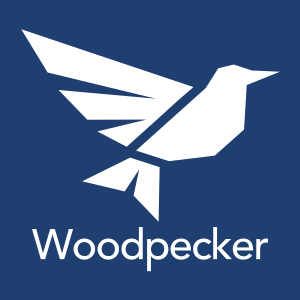 Woodpecker allows you to create and reuse documents that you use on a regular basis. For example, if you have a legal contract that you work with often, you can use the same contract, but customize the areas such as the name, address, etc. that must be changed instead of manually creating a whole new contract. You can also do the same with email templates,, cover letters, etc. The process is seamless as well. Just upload a document, choose the customizable parts, and customize it when you need it! Woodpecker has free options available as well as paid-plans with more features. No need to give yourself a headache trying to find an accent mark, a letter from a different language, complex math symbols, or the perfect emoji for your document. With the Symbols and Characters add in, you will find the symbol and character you need in a flash. You can search for a specific symbol or plug in the language you are typing. Once you find the proper letters, click on it and it will appear in your document. Your presentation doesn’t have to have only words and images — you can add some umph to it. With Web Video Player, you can make your PowerPoint slides more entertaining by adding videos from Vimeo or Youtube to your slides. Now, when giving your presentation, you will no longer have to click a link in your PowerPoint to end up on another Internet tab. The video will play automatically since this whole process occurs in PowerPoint. You can even contribute $5 and get access to their autoplay and custom start features. Web Viewer is similar to Web Video Player, but instead of videos, Web Viewer allows you to insert web pages into your PowerPoint presentation. This reduces the need of having to click on links during your presentation or having external screens open. How often have you sat through a PowerPoint presentation and felt the need to take a snooze? With Mentimeter, there will be no snoozing because this add-in gets the audience involved in the presentation. With Mentimeter, you can add questions, polls, and quizzes to your PowerPoint presentation, and participants can vote or choose an answer through their smartphones. All they have to do to vote is go to Mentimeter’s website and enter a code that is given by Mentimeter that will take the audience to the question, poll, or quiz.. Then, they can vote away and the results will update in real time. Have you ever given a presentation and wanted to make it easy for everybody to have access to a resource either during or after the presentation? Office QR may be the solution. With Office QR, you can generate QR codes and then upload them into your PowerPoint presentation for people to scan. You can use it on Word and Excel, too! Having trouble navigating Excel? No worries, our next add-in has your back. Excel can be complex since there is so much you can do with it: formulas, spreadsheets, data analysis, and the list goes on. How often do you open up Internet Explorer to figure out how to use a specific function on Excel? This can quickly create chaos when switching from screen to screen. Excel Training and Tips is an add in which allows you to find how to do certain tasks on Excel step-by-step. The basic information is free, but if you want to take advantage of their tutorial videos, they have monthly packages as well. You don’t need your calculator nor is it necessary to open up another tab because the handy calculator is actually very handy. It appears right in your Excel document (or Microsoft Word or PowerPoint) to help you compute your calculations with ease. Just because it’s data doesn’t mean it has to be dull. People Graph lets your data come to life by transforming it into easy-to-understand pictures. You can even customize the shapes and themes of the image to ensure it has the look you want portrayed. Use colors to complement your Excel spreadsheet. It will create gradient effects and patterns vertically, horizontally, uniform, or in a matrix. You know you’re not being productive when you import or copy/paste a file into Excel and you spend way too much time reformatting it. Looking for a project management solution inside Microsoft Teams? With Priority Matrix for MS Teams, you can manage entire projects, tasks, and priorities without leaving Teams. Looking to get a quick response from your team? Why not create a poll? With Polly, all you have to do is mention @Polly in a chat and it will quickly create a poll. You can even see the live results. Freehand is a tool that allows teams to collaborate in a creative manner using a whiteboard that updates in real time to see ideas come to life. Users can draw, write, sketch, and comment on the whiteboard. At Appfluence, we are a remote team scattered throughout the world. This add-in is especially useful for remote teams that are unable to constantly sit down and discuss ideas. What are your favorite Microsoft Add-Ins? Comment below!